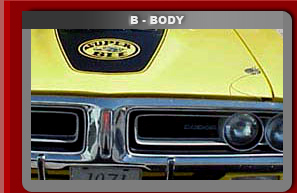 B/E & A Restoration Parts, Inc. is very proud to be the premier and largest single supplier to the Mopar restoration hobby. 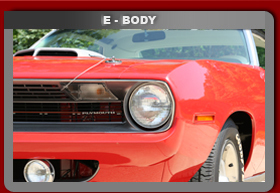 B/E & A Restoration Parts, Inc. has a very simple philosophy, produce the absolute best reproduction parts without compromise. B/E & A Restoration's goal is to produce the complex parts. These parts are made with current manufacturing technologies that include: true injected molded plastics and lenses, pot metal castings and metal stamping dies. We control all tool manufacturing, production and part testing for every part manufactured. Our personnel work directly with the tool makers, to insure the quality of prototype parts prior to the manufacturing of a production ~ All parts sold by B/E & A Restoration are made exclusively for B/E & A Restoration. With this philosophy, B/E & A Restoration guarantees quality. 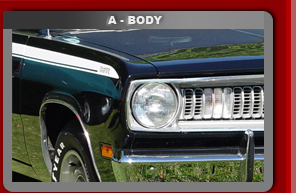 The owners of B/E & A Restoration Parts, Inc. have been in the MOPAR hobby for over 25 years and have first-hand knowledge of the restoration industry. They have experienced the problems associated with searching for good original parts only to settle for “that will have to do”. Because of our genuine passion for this hobby, B/E & A Restoration parts will be right the first time. The quality of a part represented by B/E & A Restoration will separate itself from all others.